Hailing from New York but now London based, Leo Napier puts a modern twist on traditional soul to create his own unique blend. How would you describe your music to someone who has never heard it in three words? Where has been your favourite place to play? So far, a place called Spice Of Life in London. They have great sound and a beautiful baby grand piano. There's never a set process with me. Sometimes songs seem to beam down from above with relatively no effort. Other times I find myself struggling over the course of a week. Sometimes it starts with an interesting lyric, a la 'She's A Dime', or sometimes it starts with a melody or a piano riff. Writing music is still as unpredictable to me now as it was 10 years ago. Who's your biggest inspiration (in life or in music)? Ray Charles, with out a doubt is my biggest musical influence. He's the source of everything musical, to me and thousands of other artists. Get ready for a rough road. It's not easy. But if you have good work ethic, a healthy dose of talent and a bit of luck, you can go far. The album will be a reflection of my personality. Humour, sadness, silliness, romance, all delivered with a classic R&B/modern pop production style. Only that I'm looking forward to finally getting my brand of soul out to the world, and I'm glad it's taken me this long to do so because the delivery of this style of music takes a long time to develop. I've finally found my voice and I can't wait for people to hear it! 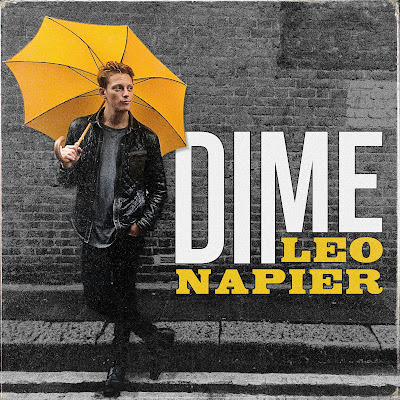 Leo's latest single 'Dime' is about the pursuit of the perfect woman and is a great example of his style. You can hear the influences of artists such as Ray Charles and Bruno Mars but Napier has managed to put his own spin on things - incorporating traditional soul with more pop orientated elements to create a song you can't help but dance along to. I personally can't wait to hear the album - watch out for Leo Napier.